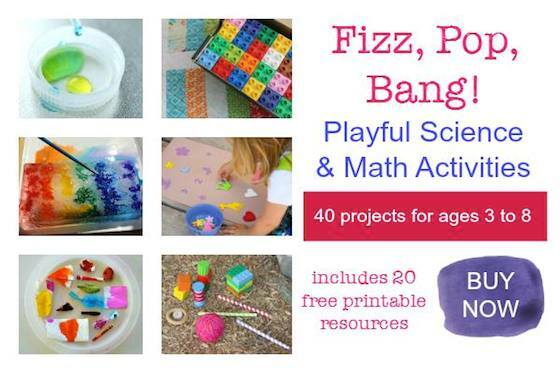 The hooligans and I enjoy crafting with items from nature, and we love coming up with creative homemade gifts that we know the parents will really enjoy and appreciate too. These Twig Star Ornaments are easy to put together, and they make a great homemade gift for Mother’s Day, a birthday or even Christmas. 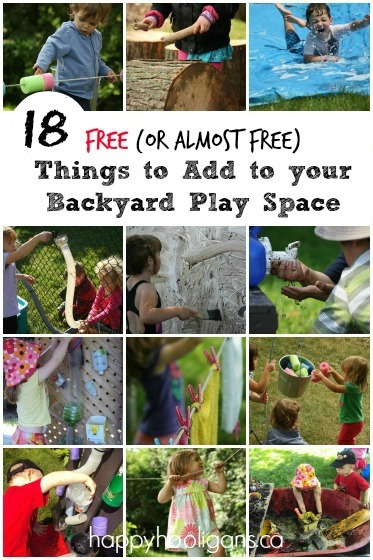 Crafting with items found in nature is an inexpensive way to get creative with your kids. It also provides you with an opportunity to hold a little outdoor scavenger hunt when you’re rounding up your supplies. 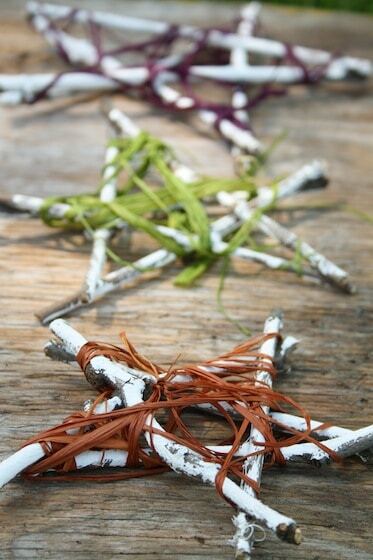 Sticks and twigs are a couple of our favourite natural materials to craft with. 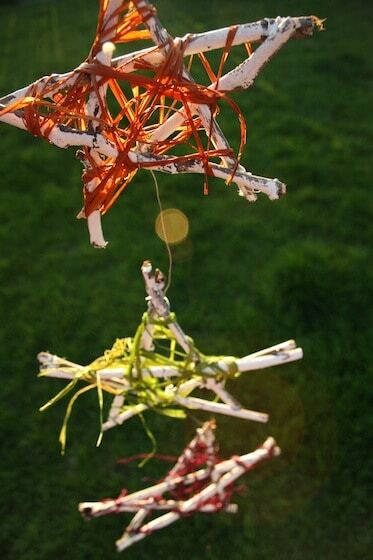 We’ve made quite a few outdoor ornaments using sticks, and they’ve always turned out beautifully. 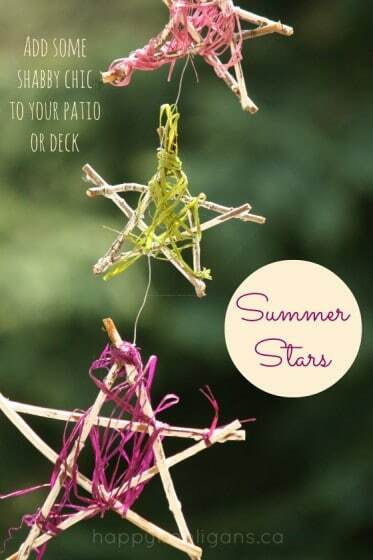 These summer ornaments are perfect for jazzing up a corner of the deck or patio, and you’re going to love how easy and inexpensive they are to make! A few weeks ago we set out on a walk to collect sticks and twigs for crafting purposes. 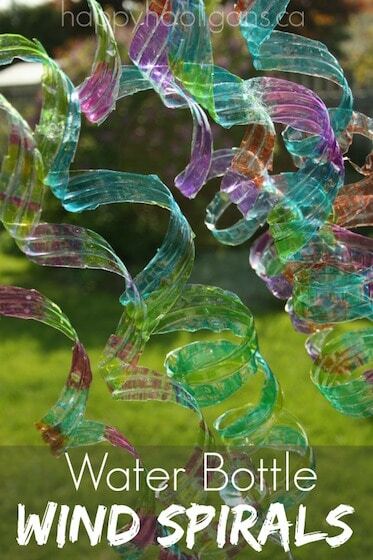 We used some of them to make our gorgeous rainbow wind chimes. 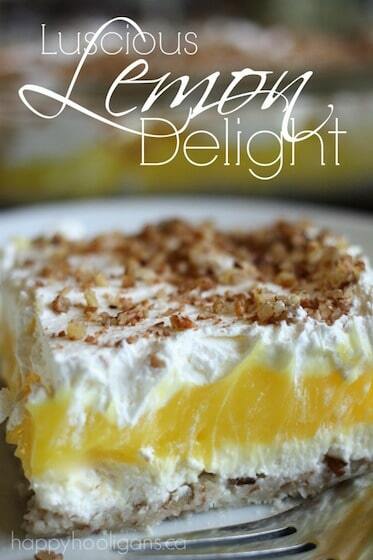 If you missed that post, you must check it out. The results were terrific, and the process was fun and easy. This week we dipped into our supply of sticks for our stars. To start, I organized sticks that were similar in diameter, and sorted them into sets of five. I trimmed the sticks in each set to be the same length. For each ornament, we made three stars, one slightly larger than the other. 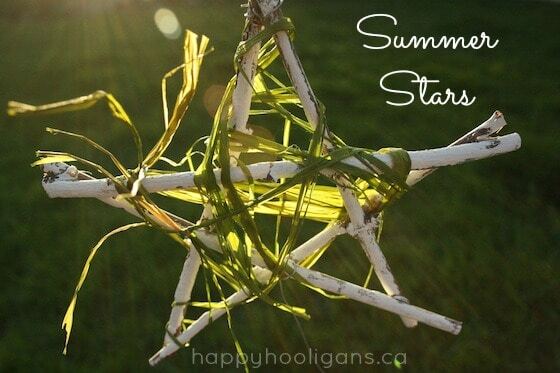 Once the twigs were trimmed, I hot-glued them into the star shapes, and then it was time for the Hooligans to take over. They painted each of their stars, front and back, with white acrylic paint. Don’t worry about full coverage here. 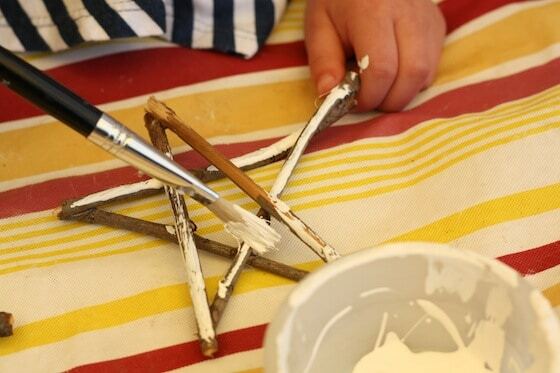 You’re going for a rustic look, so just let your little one paint until they’re happy with the results. At this point, your stars will look something like this. Aren’t they looking fabulous already? I love this shabby chic, birch-bark look. 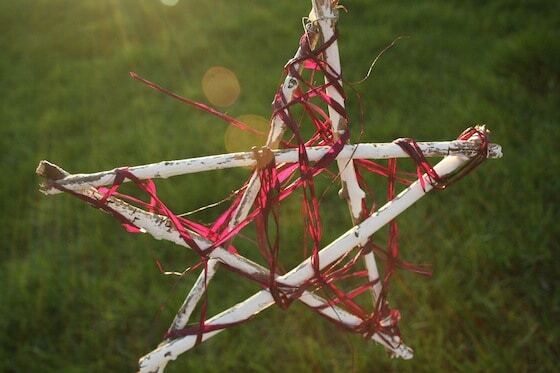 Next, tie a long length of raffia to your star, and have your child wrap and wind the raffia all around the star. We used a different colour of raffia for each star. 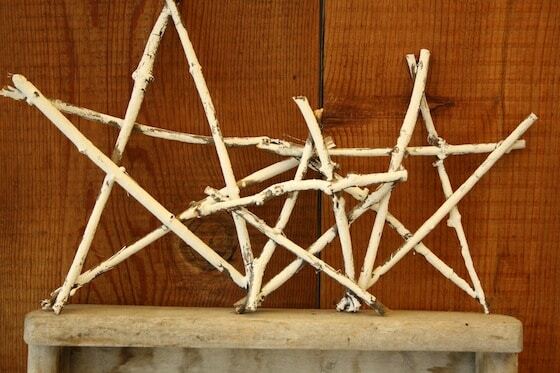 Knot your finished ends to a one of the twigs in the star to secure everything in place. Now it’s time to string your stars together. 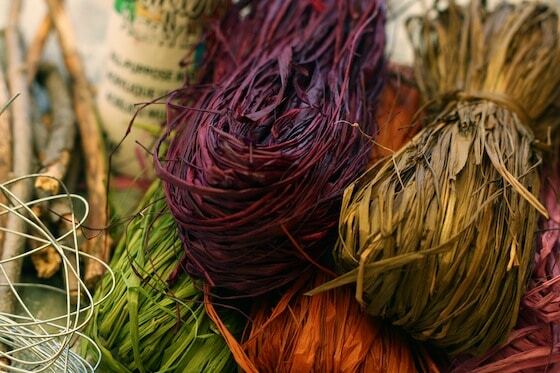 You can do this with more of your raffia, or with some yarn or twine. 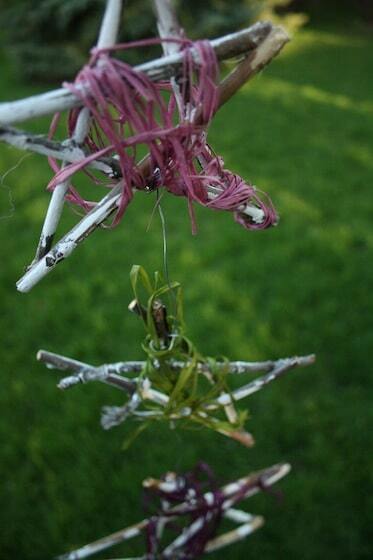 We actually used thin, flexible wire which was easy to twist around the twigs. For a hanger, I added a loop of raffia to the top star. Yippee! I’m in love with them! What do you think? When I first came up with this idea, I had deck ornaments in mind, but I also think they’d look great hanging from a tree branch or even as a decoration on the front door. I also think it would be fabulous to string these stars together in a garland. I love the way they look when the sunlight hits them. 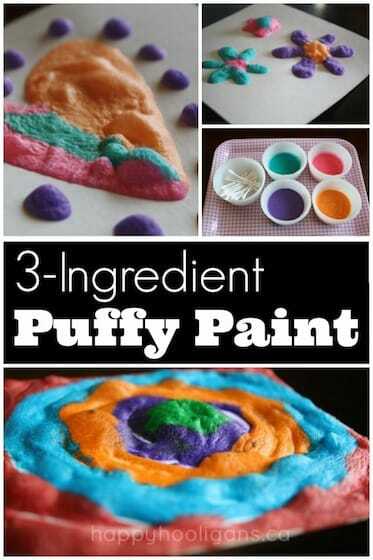 Lovely will have to try this at home and at school! Oh, I love this!! We will definitely have to make some with my daughter’s stick collection. Simply marvellous!!! Thanks a los for sharing. I’ll try them with my three little stars! Beautiful pictures Jackie, love how the sun sparkles through the ornaments. Thank you, Kate. I was so pleased with the light that evening. It was perfect for photographing these stars. 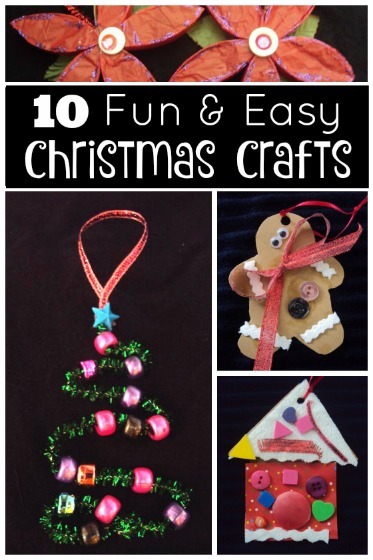 I love this idea, it would also be great as a Christmas decoration. Great idea! I posted abotut this on my Facebook page (www.facebook.com/themeasuredmom) as part of our social media shout out on KBN. Do you have another special post you’d like me to share? Another creative and wonderful project Jackie! I am absolutely loving your photos – the ones outside really do capture the essence of Summer. I can just imagine myself on the back patio with these pretty summer stars hanging overhead watching my son play in the yard. Ha – see you really took me there. Fantastic idea! Would love these on our deck. Thank you for the wonderful idea! You’re welcome! Thanks for popping by, Kerrie! So cute! Perfect for outdoors. Thanks, Tasha! So glad you stopped by! I love these and will be featuring them on The Crafty Crow! Oh yay! So glad you liked them, Cassi, and thrilled that you’ll be sharing them with your followers! Thank you!! Thanks, Melissa! I’m glad you like ’em! 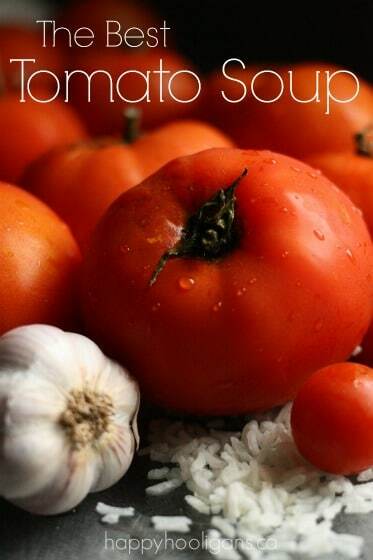 Lovely idea, Lynn! I’m glad you stumbled across my post! These are so cute and I can’t believe kids made them! They did a fantastic job. Pinning this for future use!